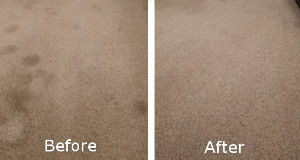 If your carpets are slightly dirty or very filthy, take advantage of our carpet cleaning service in N4 Finsbury Park. We will take care of your items, brining them back to life! Thanks to our revolutionary system, they will smell fresh and look gorgeous. All the soiling will be removed. All the stains will be gone. We utilise modern methods and special equipment for all of our cleaning tasks and there is nothing that can scare our professional cleaning teams! We work on a daily basis, that means you can book us on the weekends too. The best part is that we do the cleaning on the spot. If you have any questions, please let us know, we will gladly answer them and give you the information you want to know! ﻿We utilise the best equipment. We have modern machines that are appropriate for the different kinds of pollution. Our techniques are never improvised. The cleaning teams count on their knowledge, which is infinite when it comes to cleaning! We are very responsive, we have good work ethics. The teams at customer support will openly answer to your questions and book you the carpet cleaning service for whichever day and hour you want! All of our employees are professionals in what they do! The truth is, our carpet cleaning service in Finsbury Park is first-class because of our dedication, knowledge and experience. We are very motivated to provide the desired results. And we never give up when we have a cleaning task to complete. Our goal is to achieve perfection in every place we go, no matter what part we clean! You can find us also in Highbury and Finchley. Our goal is your complete satisfaction. We would appreciate it if we get referrals from you. We will go above and beyond to provide more than 100% efficient workmanship. To be honest, it’s not only that we benefit from you, buy receiving the money for the service. You benefit from us, because we give you the chance to experience our service and have completely clean carpets on low prices and have a completely clean and safe environment for your child to play! We will stay as long as we have to until all visible stains and spots have disappeared. We will put our best effort to remove all the soils from the fabrics. To do the trick, we will use our hot water extraction system. This is the best and most effective way to get rid of soiling. 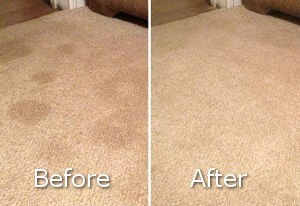 You will see your carpet perfectly clean and its colors will be brighter than before! Even though it will leave your carpet wet, it’s still a small sacrifice. Nothing beats a scrupulously cleaned carpet that smells fresh and looks good. Plus, it will only take a few hours for your carpet to dry. Mind you, that we come equipped with industrial-strength driers to speed up the process of drying. We guarantee high standards of cleaning and professionalism. 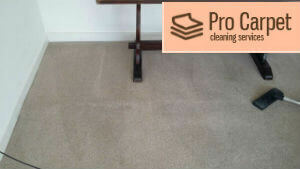 Our carpet cleaning service in N4 Finsbury Park is worth your while. We will be glad to come to your home and prove you we are the best! Please, call us to arrange for a cleaning session. Dial our contact number and that will mean we’ve already packed on our way to visit your residence!